Property 11: House with direct sea view. 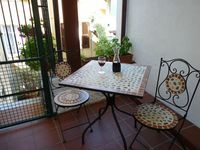 Property 22: Rustic villa in tranquil setting, Cinque Terre 20 mins by train from Aulla. 5 Lands, Lerici, Magra Mouth, Fiascherino, a few minutes "CASA MARINA"
Property 23: 5 Lands, Lerici, Magra Mouth, Fiascherino, a few minutes "CASA MARINA"
Property 34: 'Cà Mary serenity just steps from the sea, comfortable house with garden !!! Property 38: Your unique stay next to Cinque Terre, Portovenere and the Poets' gulf. 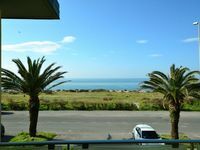 Property 45: House with direct sea view. Recently converted Barn or Cottage. Handy for historical cities, beaches etc. Property 46: Recently converted Barn or Cottage. Handy for historical cities, beaches etc. We enjoyed staying at this house. It was very clean and comfortable. The only thing that I believe someone needs to be aware of is the difficult walk to get the the house. It is a very steep walk to get luggage to as well as the stairs to get into the house. If you are not in great physical shape, it is quite difficult.